This page contains a list of all obtainable destiny 2 shotgun that includes exotics, legendaries, rares, uncommon and common weapons. The Destiny 2 shotgun is a weapon that appears in-game. Shotguns deal damage over an area because their bullets scatter and spray. Shotguns, unlike the grenade launcher are effective within close range as this will ensure that the enemy hit by your weapon will be hit by all of the pellets contained in your shotgun. They do suffer from long range shots as the pellets would less likely hit the enemies considering its poor accuracy. For the Destiny 2 shotgun, it has several classifications. This includes the Common, Uncommon, Legendary, and Exotic kinds of the Destiny 2 shotgun. *These weapons are sorted by rarity. If new shotguns appear, we’ll be updating this as well. Exotic shotguns appear more in the Beta than they do in-game. They have an extremely low drop rate, making them coveted by most players. Players can also choose an Exotic Weapon upon completing a particular portion of the game. Legendary shotguns drop in-game. Similarly to the Exotic, they have a low drop rate. However, they do not need a certain condition to be met unless it’s a quest item. 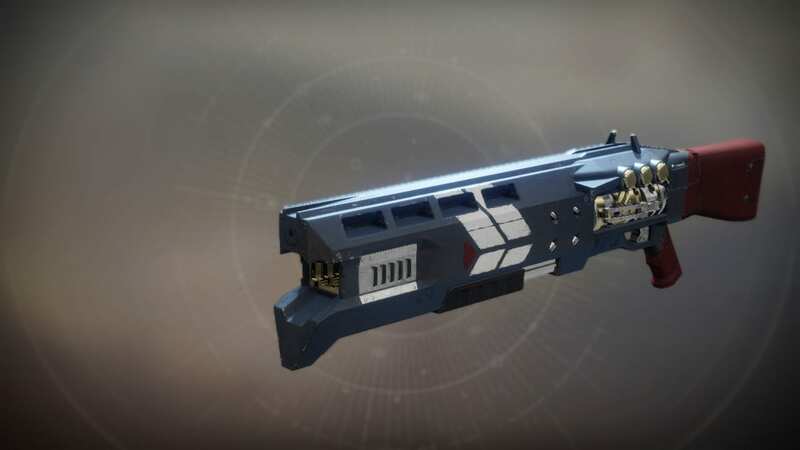 Should the player be unable to procure an exotic shotgun, a legendary shotgun can serve as a good substitute. The rares are one of the easiest to get. They’re quite a good find especially while you’re midway through a mission and you’re looking for a weapon to swap out of. These weapons drop a little more often than the Legendary and often appear in Decoherent Engrams. If players find themselves on an uncommon weapon or common weapon then, they should immediately switch it to a rare if they can. This is probably one of the best compromises since it has a higher drop rate. Common Weapons are usually best for starting out the game as it is easily available and obtainable. Once you get a higher tiered weapon, just switch weapons since commons have the lowest stats and have the least damage.